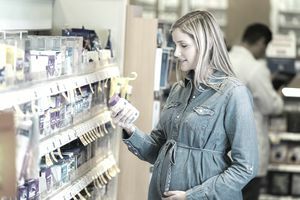 Most people assume merchandising (promoting the sale of products through strategic presentation) is solely reserved for clothing and other goods—not in the retail pharmacy space. But if you’ve got all the right goods in your pharmacy, yet no one is buying, then it may be very likely that it is your merchandising strategy that is lacking and not the product itself. Having a strong pharmacy merchandising strategy is an important and vital aspect of boosting sales. Sales don’t just rely on you having what people need, instead there are a few different factors—starting with customers being able to find what they are looking for, and the right products in the right place to tempt the customer into an impulse buy. Really use the front end of your store and change it out by seasonality. “It’s such a critical area of the store that’s often overlooked,” says Stern. “It’s a good place to put things with good margins, as well as new products and some quirky ones—put some surprises in there. But change the products out regularly (at least monthly) so this section doesn’t get stale or boring. Create a zone for some items and don’t be afraid to display them more than once because customers can miss items if they’re only in one place. Have new products regularly and introduce those products to customers by exposing them to it. Advertise that you’ve been getting the product in every category. Have a dedicated space that changes all the time but always place new items in there so customers know where to look for new arrivals. Decide what your customers’ destination purchases are vs. impulse purchases, then invest in displays of the former, advises Stern. They’re probably things that matter to people, such as vitamins. And once you have a display, make sure it’s easy to find and easily called out. If you sell food and alcohol, partner with the big brands and be sure to use their resources for merchandising. Don’t put all of your focus on aisle end caps (front of store or clear signage may be more important for your customers). “Don’t place too many items high up, especially if you’re in an area with a large elderly population. Avoid clutter—put up only the signs that the consumer needs to see.